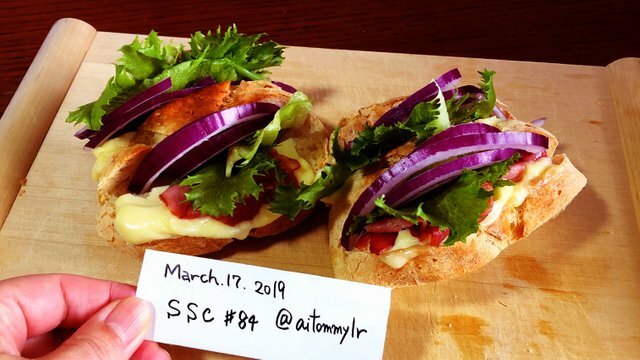 I will participate in the 84th round of the Stememit Sandwich Contest. Thank you always for the host @jaybird and the sponsors. The details of the contest are here. This week's theme is "Royal Rumble. Anything Goes!" And I made my favorite standard sandwich. 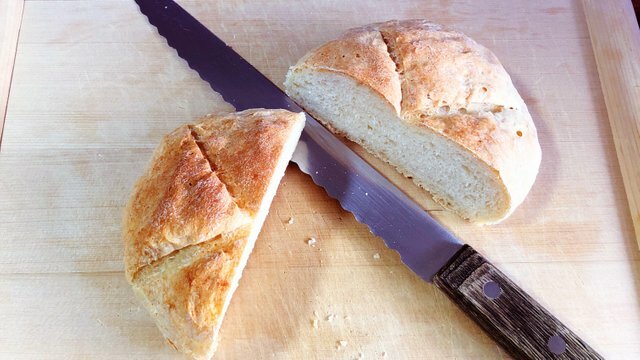 Bread uses the soft baguette I baked yesterday. Last time, it was very good to put a cut and sandwich the material, so I decided to use the same method this time. 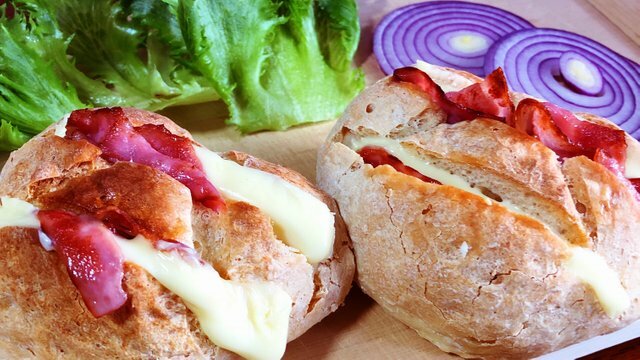 Sandwich the cheese and fried crispy bacon in the baguette. Then lightly warm it in the oven. 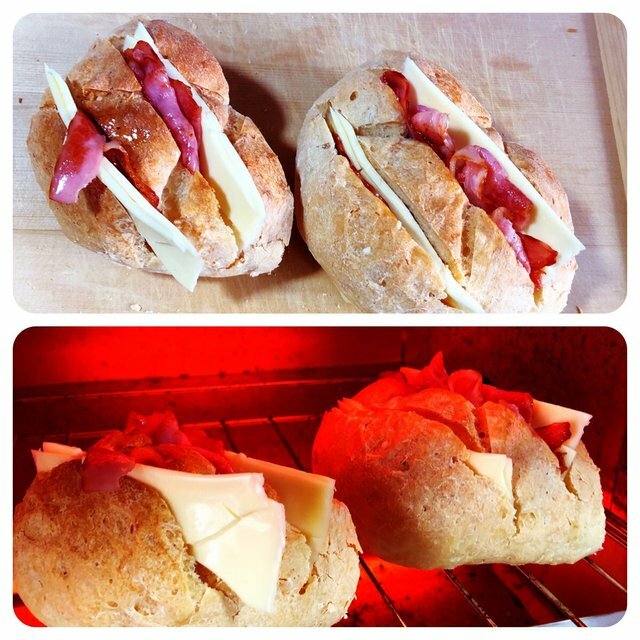 The cheese melts and looks very delicious. Sandwich my favorite lettuce and purple onions. The ingredients used this time are as follows. This sandwich became my Sunday breakfast. We were able to make fun sandwiches again this week. I am surprised to receive 2nd place in SSC # 83! And I'm glad! At the same time, I became a Veto Vote Holder. I look forward to seeing your wonderful sandwiches. It will be hard to choose the second place. @birdsinparadise, what a nice comment! Thank you very much. I imagine it would be fun to invite you to my kitchen and eat sandwiches together.